With the strong growth of deployments of Neo4j by enterprise customers and users in all industries, we’ve been asked time and again to provide a certification mechanism that allows Neo4j experts to prove their expertise. In today’s job market, NoSQL database and data analysis skills are highly valued, and graph database knowledge is in especially high demand. The demand for Neo4j skills in particular is growing tremendously, so now is the perfect time to show your employer, customers and colleagues that you are a Neo4j expert. Today, we are proud to unveil the first Neo4j Certification available with several more to follow this year. 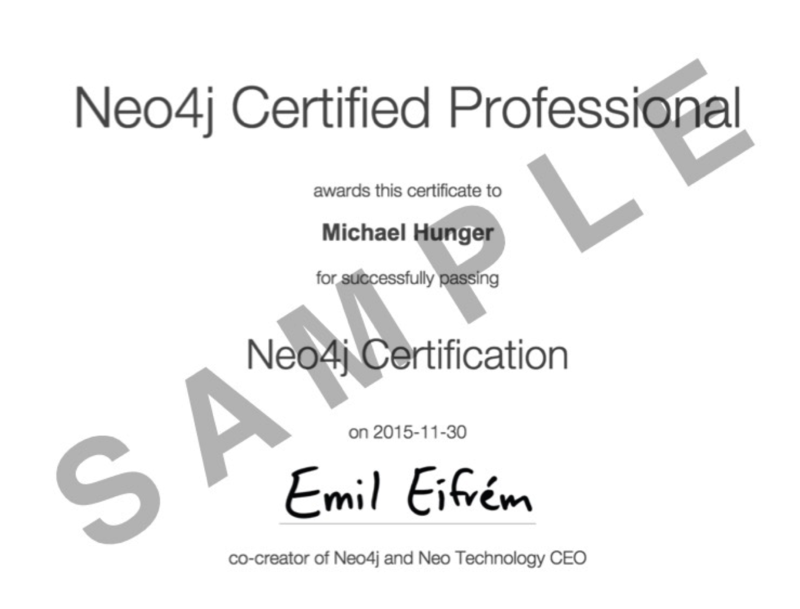 Starting now, you can become one of the first to prove your experience with the Neo4j Certification. The exam consists of 80 questions that must be answered within an hour, and which you have to pass with a score of 85% or higher in order to be certified. Please make sure you are comfortable in these areas so that you can pass the exam. (We’ll list some helpful resources below.) If you don’t pass the exam the first time, you can retake it later once you master any weak skills. Plus, to demonstrate your skills to other software professionals – and current and future employers – we strongly recommend you also add the certification to your LinkedIn profile. If you have questions around the Neo4j Certification program or the exam, please send us an email to training@neo4j.com. And now it’s exam time! Prep using the resources below, and let us know when you’ve passed. The first 50 certified professionals will also get an exclusive Neo4j T-Shirt from us. 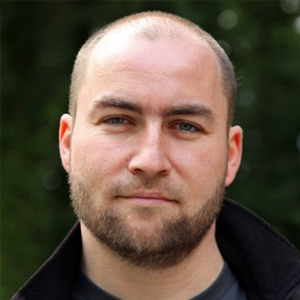 Take the Neo4j Certification Now! Congrats to everyone involved in this important step. This, not only provides a certification but also makes one proud of the aquired knowledge on this wonderful graph database, neo4j.